When you eat chicken wings, do you go for the flats or the drums? I usually go straight for the flats...luckily Stephen likes the drums (flats too, but they are usually not available)! Aren't we the best team? HA! Just another reason of MANY why things just work! 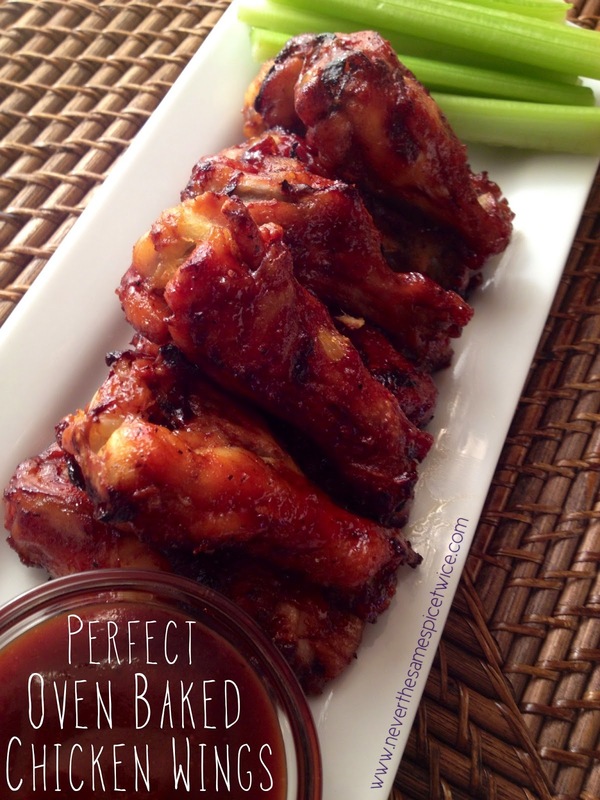 These chicken wings are cooked to perfection (in my opinion)! Since we live in an apartment, we have to make the best out of not having a grill. These wings taste so good baked, I can't even feel bad about being grill-less! 1. In a large bowl, coat wings in olive oil - sprinkle generously with salt, pepper, and garlic powder. 2. Cover a baking sheet with foil, coat with cooking spray - lay wings out on the sheet. 3. In a 375 degree oven, cook for 30 minutes - then take them out flip them, and cook for another 15 minutes - take them out to cool for about 5-10 minutes. 4. In a large bowl, coat the wings with BBQ sauce - lay back out on sheet (may need to spray again) cook for another 15-20 minutes. *Serve with extra BBQ sauce, blue cheese, or ranch dipping sauce. Saving this recipe. Daniel loves these. But we are flats people. Oh my this looks like a delicious recipe. If I can get them to look half as good as yours I'll be in business. Thanks for sharing. These look AMAZING!! Thanks for sharing, pinned :*) I found your blog through Wildcard Wednesday ... and am leaving it as your newest GFC and Bloglovin' follower :) Would love to have you visit me at ChattingOverChocolate.com sometime! Have a terrific night! yum! I SO needed this recipe!! Hubs outcooked me tonight with his own bbq chicken dish. Thanks for sharing this, now I can show him up!